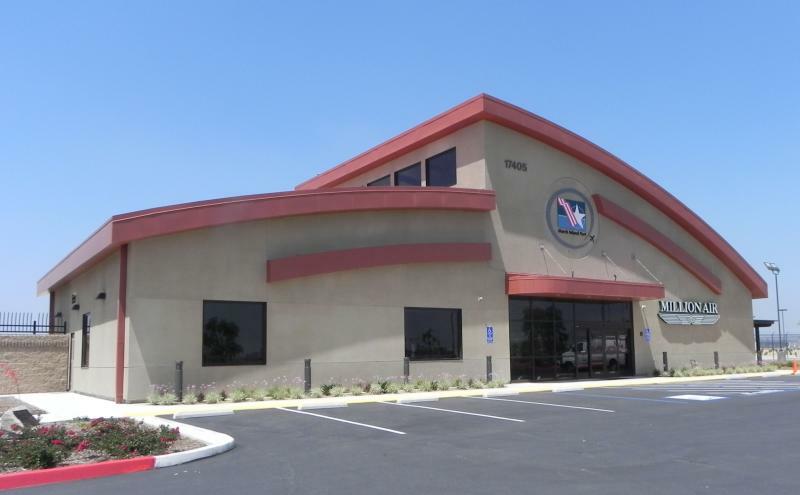 Located on March Joint Port, in Moreno Valley,CA, this 5,000 square foor facility features a passenger lobby with a 35 foot high ceiling, flight planning area, theater, cafe, conference rooms, support and administrative offices, etc. Construction includes steel stud framing and plaster walls, curved glu-laminated beams with a wood plank lay-in ceiling, and a glass enclosed conference room. The terminal serves executives doing busines in the Riverside area without having to go throuh LAX or ONT airports which are inconvenient and miles away. 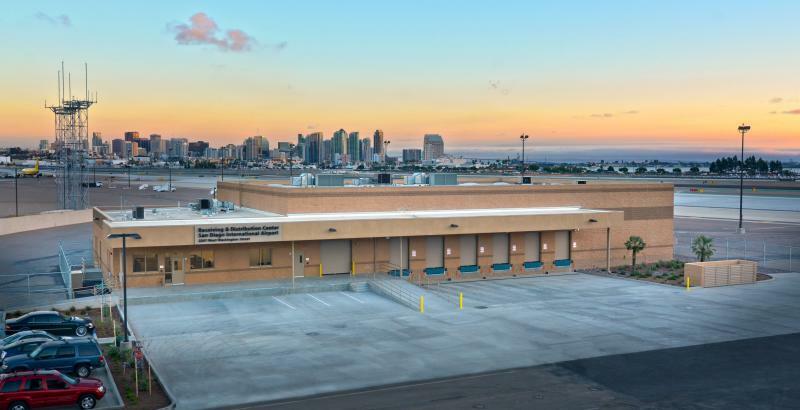 Located at San Diego International Airport, this 17,580 square foot facility serves as the receiving and distribution center for all airport vendor's products including food, clothing, books & magazines, etc. All products are received on this side (Land Side) of the the building and distributed to the various vendor locations at the airport via the "Air side" behind the building. Security is maintained and congestion at the airport terminal due to deliveries is eliminarted. Deliveries can now be made to the airport 24/7. This project was awarded the LEED Gold level by the US Green Building Council. 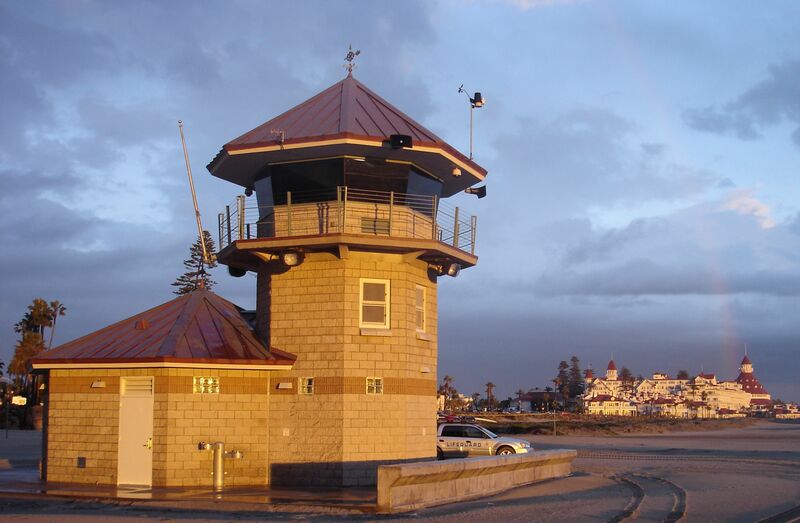 The Central Beach Lifeguard Tower Station replaced a 30 year old tower building that was structurally unsound. The new tower includes a first aid station with an accessible toilet room, shower, and treatment area, a reception area on the first level, and work stations for the senior lifeguards on the second level. The observation room, located at the top of the tower allows for a 360 degree view of the beach, ocean and surrounding areas. This project received the "Project of the Year" award from APWA in 2008. 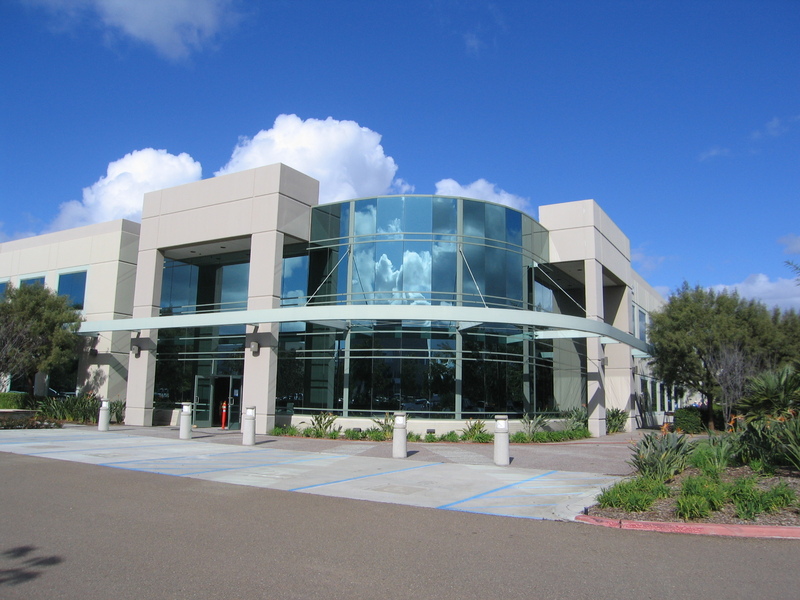 This 5,000 square foot facility is located at the foot of Grand Avenue in the Pacific Beach community of San Diego. Design concerns included balancing the mass and width of the building as the site is a visual corridor to the ocean. The board walk in the foreground becomes a plaza that ties the lifeguard station with public restrooms of similar architectural character. The pelican statue is part of the artwork incorporated in the project. This project was Awarded "Honorable Mention" by the APWA in 2007. 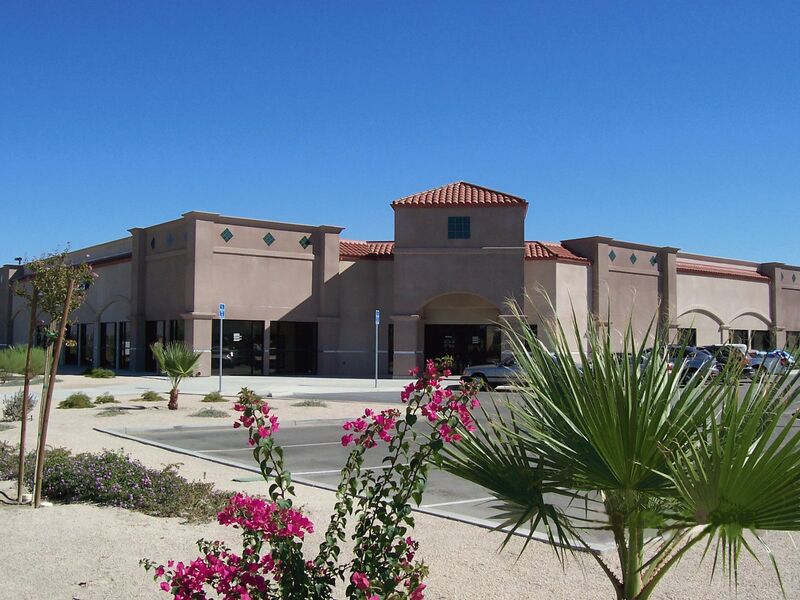 This post office is a 23, 300 square foot facility located just north of Highway 111 in the City of La Quinta. A Design/Build project, the design feature a contemporary mission style character that is compatible with other building in the surrounding area. The main entrance is highlighted with a canopy tower featuring a hip roof of mission tile The open arches of the tower element identify the building entrance and welcomes it's postal customers. 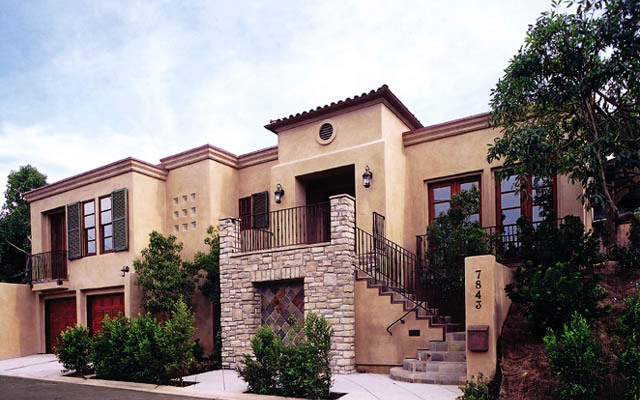 The building colors and architectural features reflect the natural soft pastels of the desert. This customer service center is located in San Clemente, California. The building is constructed of wood frame and stucco and was designed to be in harmony with the commercial and residential architecture of the area, while presenting a modern corporate image for the utility. The building meets the heavy use need for the SDG&E operation providing areas for public access and service, while maintaining other non-public spaces for the utility company's internal operations. A major tenant improvement project in an existing 108,800 S.F. cold shell industrial building with an existing 16,200 S.F. mezzanine. New work included a mezzanine addition of 22,000 S.F and a central mechanical plant of 7,600 S.F. Total building size is 154,500 S.F. New work included systems integration laboratories, electrical shops, mechanical shops, and 480+ offices, both private and semi-private, including support areas, conference rooms, break rooms, etc.